August 2016: Tips, eNews and More! With July in the books we hope you have been getting the most out of summer! While we've had to endure record-setting heat over the last few weeks, August is expected to be a little more comfortable, leaving you with no excuses to stay indoors. With events like the Canadian National Exhibition, Caribana and Taste of the Danforth, filling your calendar will be the least of your worries. While the nice weather continues until October, August often feels like the last month of summer with kids heading back to school in September. If you have children we suggest booking an appointment for a cleaning before schedules fill up with after school activities and clubs. If you are heading off to college or university, don’t forget to look into your school's dental coverage. Make sure you maintain good oral health while in school and consider scheduling an appointment to get your smile in shape for your first day of class. Do you want to get the most out of your smile? 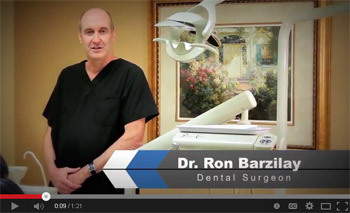 Watch the video below for a special welcome message from Dr. Barzilay! If you go to any supermarket or drugstore, you will probably find entire shelves filled with different types of products that can be used to improve your oral health care, from mouthwash to toothpaste, all with its own unique benefits. However the key to good oral health care all begins with a quality toothbrush suitable to your specific needs. Long stems, thick handles, hard bristles, round edges...where to start? With so many options how do you know which option is right for you? 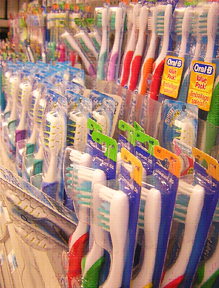 Click here to learn what you should look for in a toothbrush. Maintaining a healthy diet is important, but it seems like every season we need to keep up with a new dietary fad or trend. One of the latest trends is the Paleo diet, which is a diet that consists of meats, veggies and fruit while excluding dairy, grains, and processed foods. This diet is rich in omega 3 fatty acids and protein while improving digestion and building muscle. 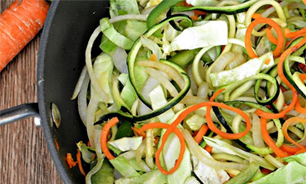 This Asian-inspired zoodle dish is a loaded with veggies and is also gluten-free!